Sony announces the availability of five new series of 4K HDR TVs: XD83, XD80, XD75, XD70 and SD80. 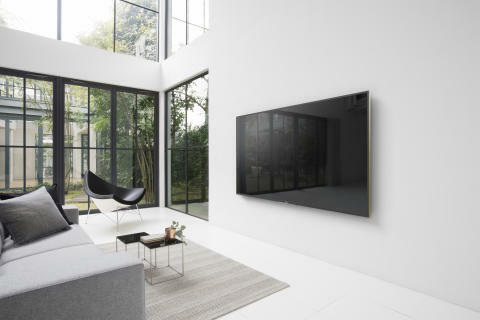 Designed to fit into cameras of all sizes, all Sony BRAVIA 4K HDR TVs offer superior 4K viewing experience as well as a 4K quality of content converted from HD sources. With over eight million pixels, Sony BRAVIA 4K HDR TVsdelivers intense detail and superior image quality, providing four times more detail than Full HD mode. Movies, TV shows, photos, and content on your smartphone are rendered superior to the 4K standard and thanks to Sony technologies. Thus, the 4K X-Reality ™ PRO technology reproduces unprecedented details using a unique Sony algorithm that uses a database of information for any type of content such as TV, DVD, Blu-ray discs, internet video and photos digital. The new Sony BRAVIA 4K HDR TVs are High Dynamic Range (HDR) compatible, so they can receive and process video content to the new standard [i] . Combined with the 4K Ultra HD resolution, HDR technology will change the way you watch the video content on your TV due to extra detail, color and contrast. All five Sony BRAVIA 4K HDR TVs support Google's Android TV, making video streaming, video-on-demand access, or the use of gaming. TV enthusiasts can watch successful shows and favorite movies on Netflix, YouTube and beyond. Users can also access a selection of games and apps from the Google Play Store directly on the TV. In addition, with the Google Cast ™ app, you can send multimedia content from apps like Netflix or YouTube running on their Android, iOS, Mac, or Windows or Chromebook devices directly to your TV. Sony BRAVIA 4D HDD XD83, XD80, XD75, XD70 and SD80 HDDs will be available in major European retailers soon. Prices vary by country and retailers. [i] The Sony BRAVIA 4K HDR, XD75, XD70, and SD80 models will be compatible with HDR technology through a subsequent software upgrade.